Traditional food plate served at Jaanchie’s Restaurant. (Photo Credit: Soraya Lemmens). Have you ever been curious about eating iguana and want to know how they taste like? Then Curaçao is the place to be. Curaçao is an island located in the Caribbean. The three islands Aruba, Bonaire, and Curaçao are called the ABC islands of the Antilles. When you are in Curaçao, you might see iguanas everywhere. On the road, at the beach, and sometimes even on your bath towel after a quick dip in the sea. 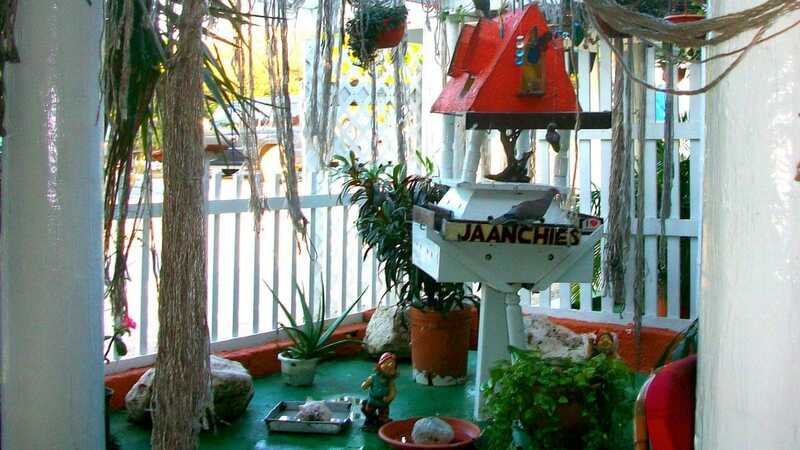 Jaanchie’s Restaurant is one of the restaurants where you can eat iguana. This restaurant breeds their own iguanas because iguanas are officially a protected species. 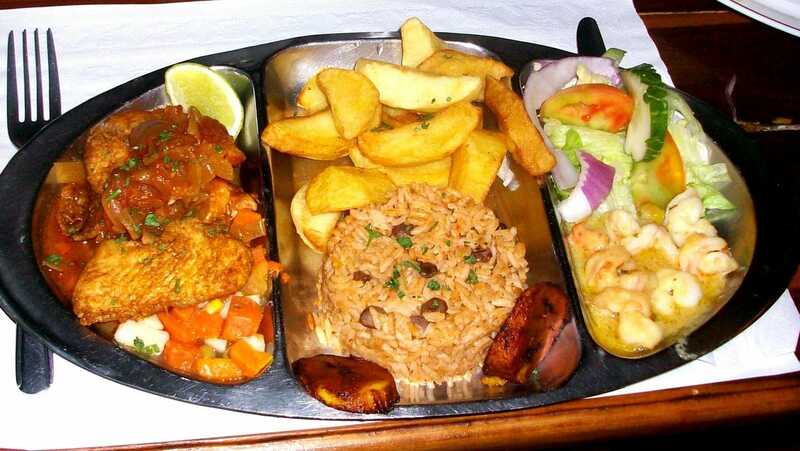 The plate of the iguana dish served on your table might look like any other meat dish, while the taste of iguana is similar to that of chicken. That’s why iguana is also nicknamed “tree chicken”. Iguana food plate served at Jaanchie’s Restaurant. (Photo Credit: Soraya Lemmens). This restaurant is located on the Western part of the island in a town called Westpunt. The road towards this part of the island is beautiful. You will pass by a national park called the Christoffel Park. In this park you can hike the highest mountain of the island which has an amazing view. Personally I would recommend hiking this mountain early in the morning because it can get very warm later on. So what makes this restaurant so unique? The restaurant has a cozy atmosphere. It’s decorated like someone’s living room – with chairs made of bamboo and a little garden where you can find beautiful birds singing. Before or after dinner, you can also relax in one of the swinging chairs which will give you an instant tropical vibe. The owner of the restaurant is called Christiaan. He’s funny, kind, and full of tips. There’s no menu at this restaurant. 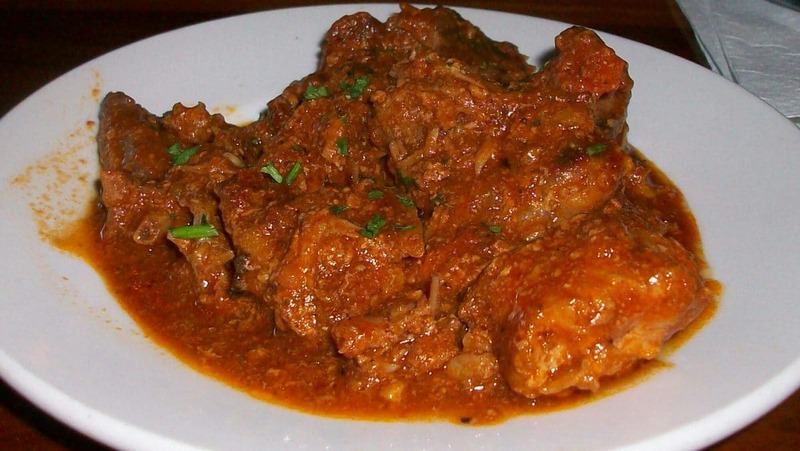 The owner will tell you about the dishes available on that day and will give you recommendations. The cozy atmosphere at Jaanchie’s Restaurant. (Photo Credit: Soraya Lemmens). Jaanchie’s Restaurant, Westpunt 15, Sabana Westpunt, Curaçao.